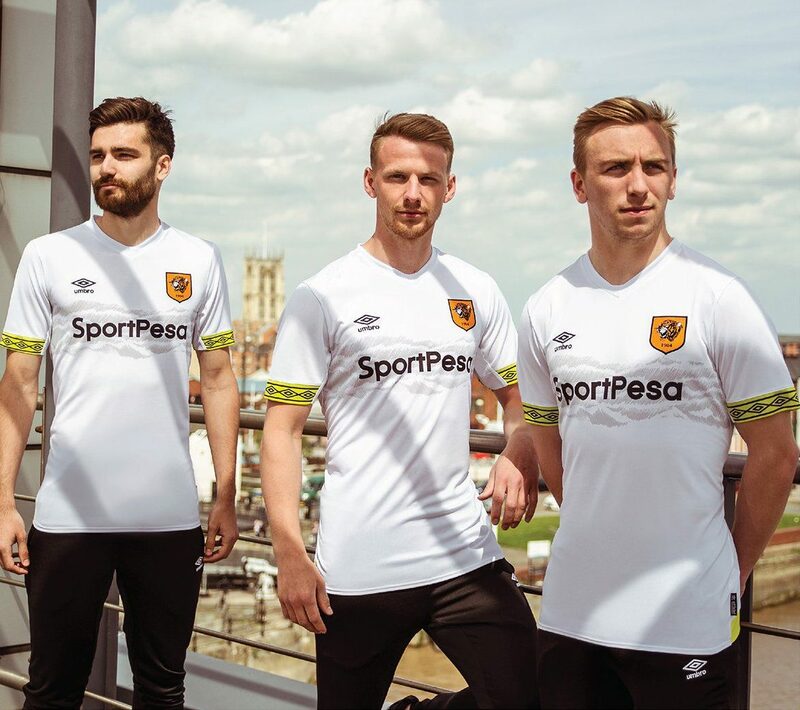 Hull City revealed its brand-new 2018-2019 third kit, made by Umbro. 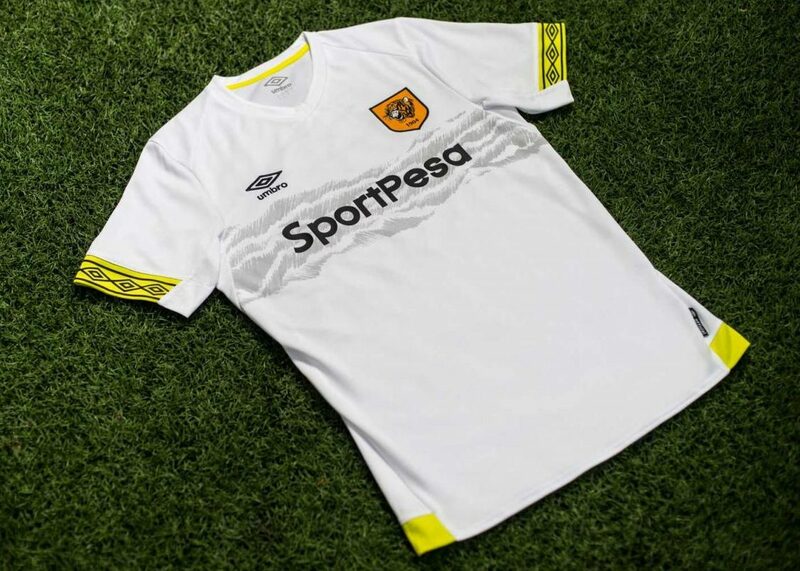 The Hull City 2018-2019 third jersey is predominantly white with a graphic on the chest paying a nod to the famous ‘Tiger Skin’ shirts from the 1990s. 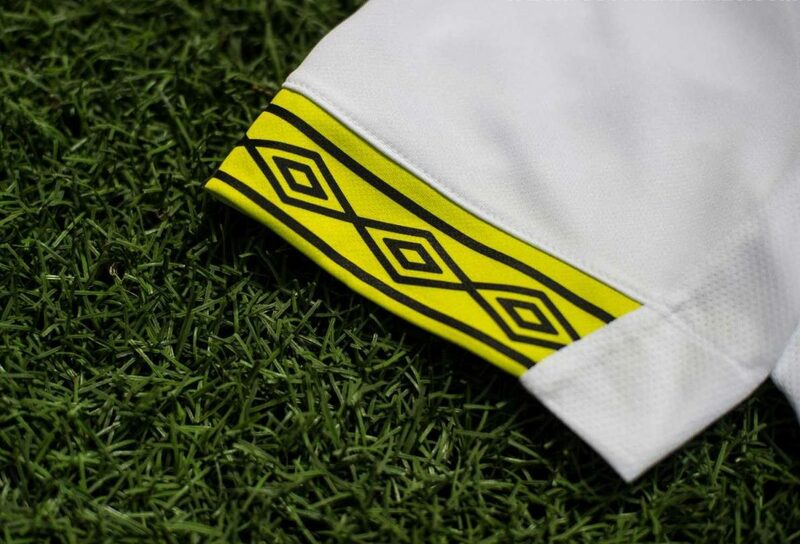 Garish yellow trim on the back hem and sleeve cuffs is mirrored by shorts in the same ‘Sulphur Spring’ color. The socks are white.